Spanish Seed Collecting Gardening in Spain. spanish seed collecting Saving flower seeds is a lot of fun and it is easy to do, because most flower seeds store well until the following spring and summer, when you can sow them. The Spanish Gardening Index Page. Collecting seeds from your flower gardens is one of those gardening activities that are really easy, saves money, and is the most economical way to produce many new plants for your gardens year after year. 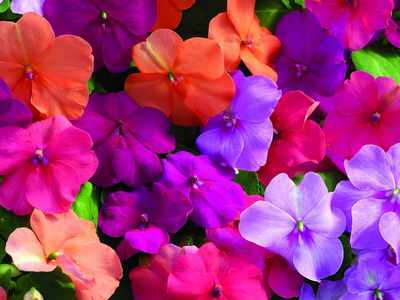 Simply by looking for a few key elements, you can save just about any flower seeds you want and grow them the following year. So let´s have a look at how easy it is to save seeds for next summer from your favorite warm-season annual flowers such as Petunias, Marigolds, Zinnias, Impatiens, etc. First – A word about hybrids. It should first be mentioned, that any plants grown from seeds of hybridized flowers will not come true to type, meaning, they will not resemble the plants they came from. 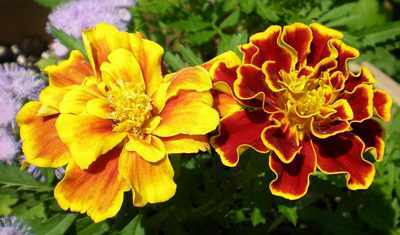 Since hybrid seed is created by crossing two highly inbred parent plants, the result is F1 hybrid seed (like Marigold ‘Bolero’), which can only be recreated if the exact same two parents are bred again. Do not let this discourage you from saving flower seeds and doing your own tests with hybrids. You just might come up with a really great new flower growing seeds from hybrids, and that is what makes saving seed so interesting! Any flower that is not marked as an F1 hybrid, and there are tons of them, will come true to type and you will get a plant similar to the parent plant. 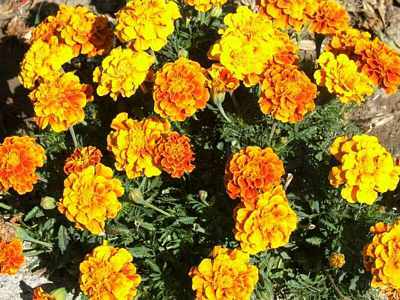 These flowers include heirloom and open pollinated flowers, such as Gem Marigolds. In fact, many gardeners consider open pollinated plants to be stronger since they have developed in a natural environment, and as such, are better acclimated to the growing area around them. OK – so now that is clear, let’s get started! 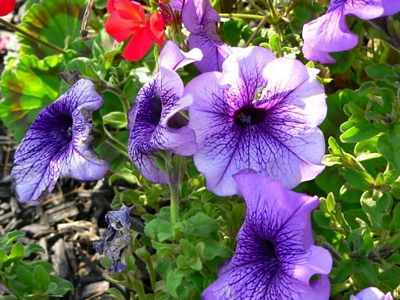 Petunia seeds are located in a seedpod (the calyx) at the base of the flower. The pod contains numerous seeds that look like tiny, dark balls. 1. Find a good dead flower. 2. If you remove the flower, you will see the pointed seedpod (the calyx) located inside of the sepal. 3. After the flower dies and falls off, keep an eye on the calyx. 4. As the calyx swells with seeds, it turns brown and splits open. 5. You can also pick the calyx off before it opens and put it in a paper bag until it does. If you look at the back of an individual flower, you will notice a tiny green swelling. If pollination occurs, the flower falls off and this green bit will grow into a seed pod. 1. Wait till the seed pods swell before picking. 2. Seed release can happen at any time, often when the pod is still green. 3. Be careful, because the seed pod can explode and seed goes everywhere, so put the seed pods in a paper bag. 4. If the seed pods do not pop open, close the bag and shake it. 5. Mature seed is brownish – white seeds are immature. 1. Find a dead flower. 2. If not super dry allow to dry. 1. Dry your seeds for about one week or until they are completely dry. Never dry seeds in the oven or in the direct sun as damage begins to occur when the temperature of the seeds rises above 35° C.
2. Store your seeds in an airtight container as soon as possible so they will not reabsorb moisture. You can also add small pouches of silica gel, which are available at craft stores to help absorb any moisture. 3. Keep your seeds in a cool, dry place until you are ready to plant them. A refrigerator is a good place to store your seed collection because it has a cool even temperature and is dark, but a cupboard will also do fine. 4. Finally do not forget to label your seeds, so you know what they are! 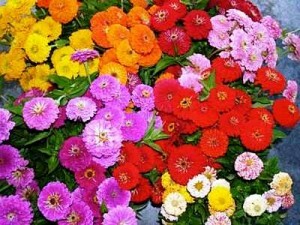 Saving flower seeds is a lot of fun and it is easy to do, because most flower seeds store well until the following spring and summer, when you can sow them. This is great, because your success rate is very high, and since some gardening projects can be very difficult, it is nice to have a relaxing project like this because you know you are going to get what you want and at the same time save money! Seed Sowing and Saving: Step-by-Step Techniques for Collecting (Storey’s Gardening Skills Illustrated). Spanish Seed Collecting Collecting seeds from your flower gardens is one of those gardening activities that are really easy, saves money, and Spanish Seed Collecting is the most economical way to produce many new plants for your gardens year after year. Spain Info, Spanish seed collecting, San Francisco De Asis, Urb Marina, San Fulgencio, 03177, Alicante, Spain.